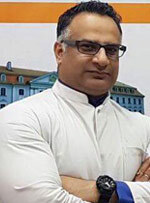 Dr. Ajay Rana is a Dermatologist and Aesthetic Physician from India, with vast international experience and broad peers’ recognition for his contribution to the advancement of the science of Aesthetic Medicine in India and worldwide. Dr. Rana is heading the Diploma in Aesthetic and Laser Medicine, DALM (www.laserstudium.eu), a German programme, for the English-speaking world. DALM is at present is the only institutionalised University-based Diploma in Aesthetic Laser Medicine for the whole of Europe. Dr. Rana further established strong collaborations with other prestigious institutions in Germany, Belgium and France, the USA, South America, the Middle East, Southeast Asia, and Africa. He is also working with local doctors in various parts of the world, helping set up clinics and highly specialised units for treating patients with the highest level of expertise. These co-operation activities will continue and results should feed into collaborating institutions’ actions to improve knowledge transfer and the pursuance of best practices in aesthetic medicine. A staunch defender of the establishment of standards and the development of best practices in Aesthetic Medicine, Dr. Ajay Rana works with other specialists and involves all relevant stakeholders worldwide to enable tangible progress in this direction. On this premise and closer to home, he founded the Institute of Laser and Aesthetic Medicine (www.ilamed.org) over a decade ago. Hundreds of doctors have been successfully trained at ILAMED. ILAMED’s alumni, equipped with the highest levels of practical and academic knowledge, are holding the flag for an ethical, scientific practice of laser and aesthetic treatments. The Institute has also been a highly effective driver of research productivity and excellence since its establishment, with several publications to its name. Dr. Rana is a firm believer in building numerous bridges between the large array of institutions and specialists so as to exchange practices, ideas, and proposals. A significant bridge was built when the Indo-German Board of Aesthetic Medicine and Surgery (www.igbams.org) was created. Spearheaded by Dr. Rana, IGBAMS help develop, through training and research, the highest standards in the discipline of Aesthetic Medicine and Surgery. Another key initiative was the creation of the Indian Society of Aesthetic Medicine (ISAM), which welcomes interested specialists and researchers on various topics of the specialty, and provides a platform for significant country-level actions. 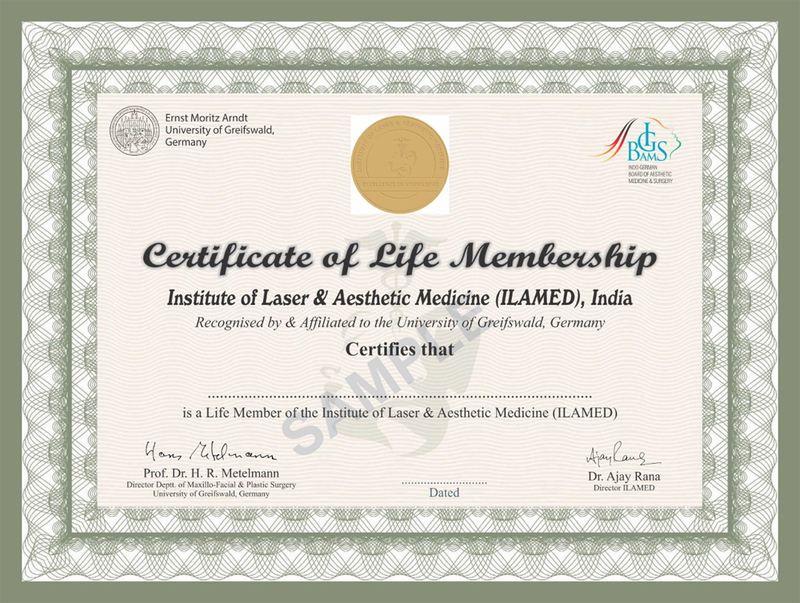 ISAM functions under the aegis of the International Union of Aesthetic Medicine (UIME). A most interesting journey was completed recently with the creation of the Indian Society of Mesotherapy (www.mesoindia.org). Dr. Rana, the founder of the ISM, had been actively promoting the science of Mesotherapy for aesthetic treatments, and was able to set up ISM with the support of the wonderful and dynamic network of specialists in Mesotherapy from across the world. To ensure a sustained development of the discipline, Dr. Rana is also continuously involved in and supports research in Aesthetic Medicine, along with the dissemination of information to specialists and patients across the globe. Dr. Rana is an editorial board member of the International Journal of Clinical Plasma Medicine published by Elsevier (www.journals.elsevier.com/clinical-plasma-medicine/editorial-board). He also contributes to specialised publications related to Lasers and Aesthetic Medicine. Dr. Rana constantly strives for improving the treatments offered to patients through his research, liaisons with fellow doctors all over the world and international medical institutions. His chains of cosmetic clinics (The Cosmetic Club) upholds the highest standards of care to the patients across the country. This helps streamlines the good practices developed through the various collaborations and supervising institutions through patients’ treatments. Patients also benefit from the latest scientific advances in the discipline and have access to information imparted by ethical and transparent professionals. Lastly, Dr. Rana has been on expert panels for his talks on Cosmetic Dermatology at various international conferences and meetings. Dr. Rana has also been a part of Cosmetic Dermatology Programmes on TV channels in India and abroad.